Traditional Brick Ovens ‘TBO’ was established quite simply, from the love of cooking and entertaining with family and friends. After 12 years in the Construction and Landscaping Industries, I found my past experience was totally invaluable. This is when it all started! We were hooked on the flavours and versatility of traditional wood fired cooking. After we experimented with recipes, cooking times and varieties of wood, we quickly realised the flavours were unbeatable. Do you want the ultimate in ENTERTAINING, LIFESTYLE & FOOD? Away to enhance your space and create ambience? Then call in and see us at showroom or give us a call to make an appointment to discuss your options. Looking back now, almost 10 years from the success of our first oven, we’ve be lucky to have created so many memories and laughs with our families and friends. My only warning is, it’s an engaging and social passion to have. So if you don’t want guests knocking at your door, pushing themselves in to be entertained at yours.. best just keep to your BBQ! Today as homeowners continue to demand a wider variety and versatility when entertaining outdoors, the woodfired oven has become a must have item incorporated in outdoor kitchens and backyards across Australia. Imagine your own artisan breads, pizza, roast meats & poultry.. even delicious desserts. cookery, regardless of your budget, skill level or even cooking ability, Traditional Brick Ovens can help you tap into this most ancient of modern trends! From choosing an oven to learning how to to master it, including DIY kits, tools, accessories, classes and more call in and see us at our centrally located showroom. The initial consultation may take place with you in your home, or an appointment can be made with our Design Manager in our showroom. It’s a fantastic opportunity to sit down and discuss the perfect outdoor oven for you and your family. In this meeting, we discuss your thoughts and visions, offer ideas and solutions on how to optimise your outdoor living area. Hand drawn sketch designs are available. Should you require full drawings including specifications and colour selections… no problem! We’d be happy to provide you with a full design service. Pricing for this service varies and is indicative of the work involved. Contact us now for a no obligation appointment. As with all construction projects, preparation and planning is key. Our ovens are durable and can be positioned undercover or fully exposed to the elements. A solid foundation for the base of your oven is the first step in the building process. Construction of a purpose built masonry base is the next. The final finish may include one of our many stone cladding options, granite, stainless steel, tiling or a simple rendered finish. A grade materials, including a superior oven floor using 50mm thick floor tiles made to our specifications, to ensure many years of use. We offer you complete peace of mind, knowing with our experience in building more than 350 ovens, we understand ovens! Contact us and ask about our obligation free consultation today. Below is a list of custom built commercial ovens by Glen and his team. 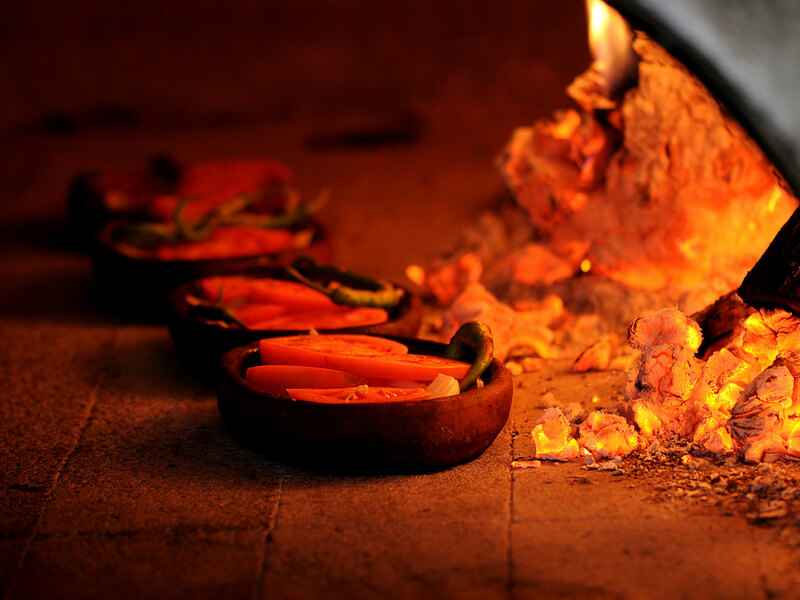 Wood fired ovens are a favorite for restaurants that specialise in pizza, although they are not limited to pizza alone. Becoming more popular in pubs, hotels and cafes, not only are traditional ovens attractive and economical to run, they create a sense of atmosphere that is only possible with this form of cooking. The versatility and exclusivity of this cooking method is certainly worth considering. It’s never too early to make contact with us regarding your plans for a commercial oven. Like any great build, it’s all in the planning. Oven capacity is a large consideration, positioning, extraction design and flue requirements are just as imperative. We’d be happy to listen to your ideas, whether it be your premises or our central located showroom in Kent Town. Contact Glen to schedule a commercial consultant. You’ll be glad you did. 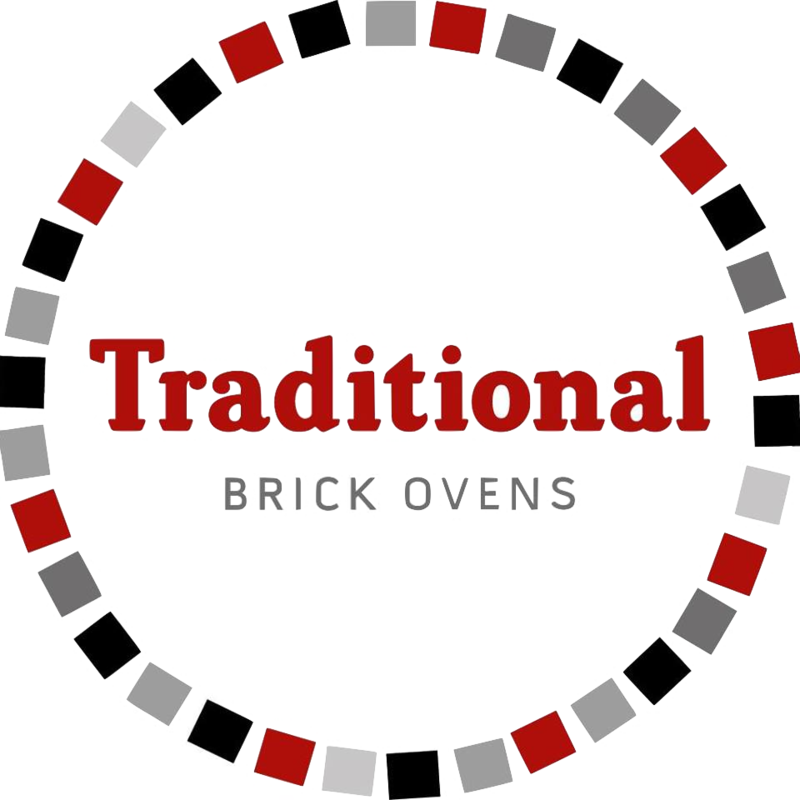 Traditional Brick Ovens custom build commercial ovens are as individual as our clients, making no two ovens the same. Capacity and aesthetics are both important consideration, as is the engineering of your extraction and flue requirements. Our commercial ovens commence at 1200mm internal up to a huge 2000mm.. Now thats a lot of oven! For product information and details on how we can assist you in your next commercial venture, contact us for a no obligation consultation. As wood fired ovens are fast becoming a must have for those who love to cook great food. Whether you entertain all the time or just now and then, there’s an oven suitable for all requirements. Large or small, metal, masonry, mobile or fixed. As we are spoilt for choice with the vast number of prefabricated ovens, it pays to do some research. Consider the overall support on offer, check the retailers credentials, what materials are used, what components are included in your purchase. Only then you can make an educated decision and be clear on what you are purchasing. In our years of experience we’ve found the price point is often indicative of quality and service. If it’s too good to be true then it probably is! When comparing, ensure you’re comparing like with like (i.e. you wouldn’t compare a top brand appliance to a generic one). Essentially the majority of WFO’s work in the same way, however fabrication, insulation properties and aesthetics can vastly differ purchase price, running costs and maintenance. Considering a pre-made already assembled oven? Best you check the access requirements, delivery and forklift or crane hire cost. An assembled oven can weigh from 250 kg -1 tonne and can be a logistical nightmare. Should you need advise or be undecided on what’s right for you and your family, feel free to contact us we’d be happy to share our knowledge. Call in to our showroom today to view our display oven and received an information pack. Since 1977 Alfa have used the wisdom of tradition and the freshness of innovation to design and develop Italy’s best pizza ovens. with over 200,000 units sold over 5 continents. Now available in Australia and New Zealand through My Alfresco, a business unit of Aritist Pty Ltd.
Visit Traditional Brick Ovens, the South Australian reseller of Alfa ovens to view their expanding range. Looking for ways to shape your space? With hundreds of options in privacy screening available it is important to consider which options will set you apart from the neighbours and suit your needs before making a purchase. Privacy screens are a prerequisite on many sites now and ensuring that the screen performs it function as well as having style is important. The Bubbalooba range by PO Box Designs is available exclusively at Traditional Brick Ovens and is sure to impress with custom design available to best suit your needs. The material options include Mild steel, Corten, Powder coated, Galv or Stainless steel. It is important that the screen you choose not only suits your style but it also should fit the space you have available. Everyone needs are different, that’s why we believe it is important to customise to our clients needs. Thermofilm is an Australian owned manufacturer and supplier of heating products since 1988. Thermofilm products have been supplied to many markets, including residential, commercial, institutional and Government. All products are designed based on the core values of innovation, efficiency & style. Thermofilm recognises the importance of environmentally friendly product development, and all new product releases have this basic fundamental – designing products that are sustainable with market leading operational efficiency. Thermofilm has recently been awarded for achievements in manufacturing, product design and innovation, including the ‘Innovative Product of the Year (Consumer)’ award and a finalist in the ‘Premier Award for Manufacturing Excellence’. Now that you have your oven, don’t you want to learn how to impress your family and friends with fabulous culinary skills? We welcome everyone and having an oven is certainly not a prerequisite. Held in Traditional Brick Ovens’ centrally located premises, using our working kitchen, you will learn how to make delicious pizzas, irresistible tapas, impressive seafood dishes and succulent roasts. Do you need advice on the construction of your oven? Don’t know where to go for materials and components. Don’t pay too much and end up with inferior products. Traditional Brick Ovens only stock A grade refractory materials available to the public. Traditional Brick Ovens recommend the use of Red Gum in your oven or fire pit, its a very hot and slow burning hard wood – it creates very little ash too!